The all-new Volkswagen I.D. Buzz Cargo presented at the Los Angeles Auto Show attracted a lot of attention because of its versatility and its anticipated utility. Surrounded by models intended for consumers, the I.D. Buzz Cargo is rather intended for businesses, and could answer their needs in pretty spectacular fashion. With the new I.D. Buzz Cargo, you get a transport vehicle that can carry boxes, construction equipment or company products without needing a single drop of gas. Fully electric, the I.D. Buzz Cargo can travel up to 550 kilometers on a single charge. This impressive range would allow a company to theoretically make all its deliveries without needing gasoline and thus significantly reduce its operating costs. The payload is set at 1,764 pounds or 800 kilos. A 111-kWh battery is used to propel the I.D. Buzz Cargo electric motor, and it can also be equipped with all-wheel drive and a solar panel charging system that provides 15 kilometers of additional battery life. With the I.D. 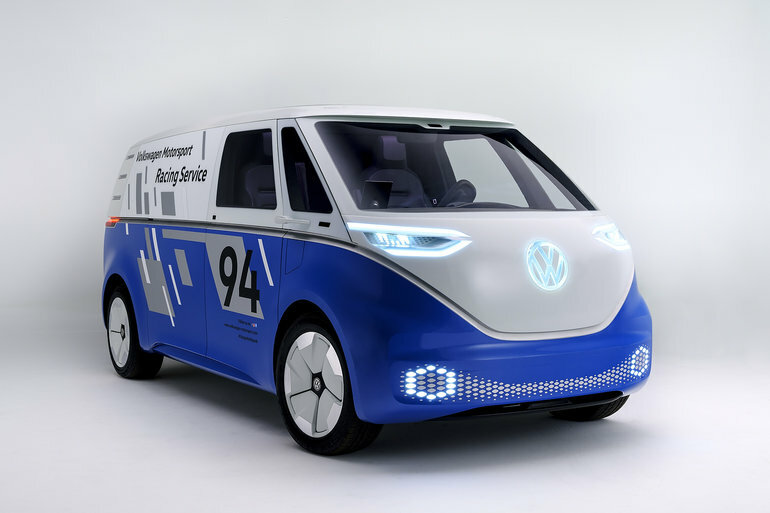 Buzz Cargo, VW demonstrates that it understands very well the needs of today's consumer, but also its future needs. Come learn more about the new Volkswagen range today.